Parking is available on a tarmac area to the rear of the Hall building. This can accommodate 30 vehicles with a similar amount of dry-weather overspill parking on the adjacent grassed area. 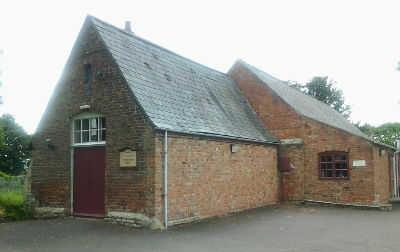 The Hall has two meeting rooms, WCs,a small kitchenette with a cooker, fridge and serving hatch to the main meeting room. For a `sit down meal' the Hall can comfortably accommodate 80 place settings using the tables, chairs, crockery and cutlery provided. ...is by ramp to the main and side doors of the building.